Shazam has essentially eliminated that ever-so-annoying "what song is this, again?" conversation that we used to have amongst ourselves whenever we heard a song we liked on the radio. As a third-party app / service, it’s been running for years now, but with iOS 8, Apple took the favorable step of baking it into Siri. So instead of using the app – which becomes typically hard to find when you know a song is about to end – one can simply ask for title, artist and album through the digital slave that is Siri. Yes, this is even more convenient than Shazam as we already knew it pre-iOS 8, but then again, at least Shazam keeps a neat list that we can always refer to. 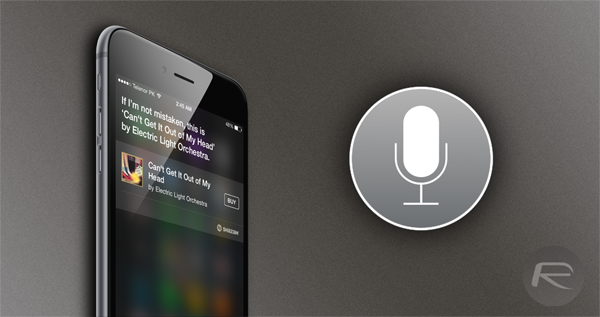 iOS 8 does too, although it’s a little trickier to find, and so, we’ve compiled a very little guide to help you find a list of the songs that you’ve asked Siri to tag. The simplicity of a "what song is playing?" command in Siri is what makes it such a nifty implementation, but, Apple being Apple, the entire feature is perhaps a little too simple in places. But if you want a little more out of the Siri-Shazam collaboration – i.e., the ability to check back on tagged songs from yesterday, last week or at any point since you picked up iOS 8 – then you can do so via the iTunes app on your device. Luckily, it’s only a couple of steps and not too tedious, but to make things nice and clear, we’ve prepared a short tutorial on how you may go about rediscovering those old tags. Step 1: Fire up the stock iTunes Store app on your iPhone, iPad or iPod touch. Step 2: Hit the options button located in to the top right-hand corner of the interface. Step 3: Next, tap the Siri tab, after which you’ll see a list of the songs you’ve tagged. As a long-time Shazam user, it can be easy to tag and forget, but through the iTunes app, you can readily purchase a tagged song instantaneously using your Apple account. Alternatively, you can make note of these tagged songs and pick them up another way; perhaps via Spotify or another favorite music-consumption app.